Trying to lower your abrasive costs? With the versatile new 3M Belt 577F, you can drastically reduce your belt inventory, processing time AND pressure. 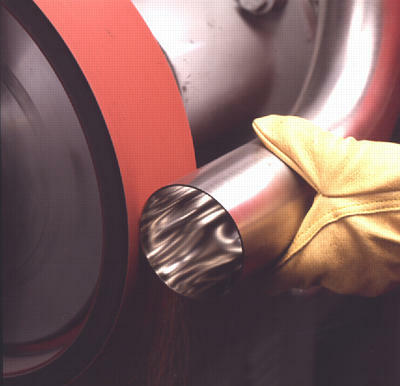 The 577F belt performs well under moderate pressure metalworking applications and is specially coated to grind stainless steel and nickel alloy. Its excellent shelling resistance enables it to work equally well in moderate pressure forging and aluminum foundry applications, where lubricants can�t be used. The 577F family of belts can also be used in degating and blending applications. 3M Belt 577F is the one belt for many jobs. Aluminum, brass, zinc and other soft metals won?t slow down the new 3M Belt 964F. 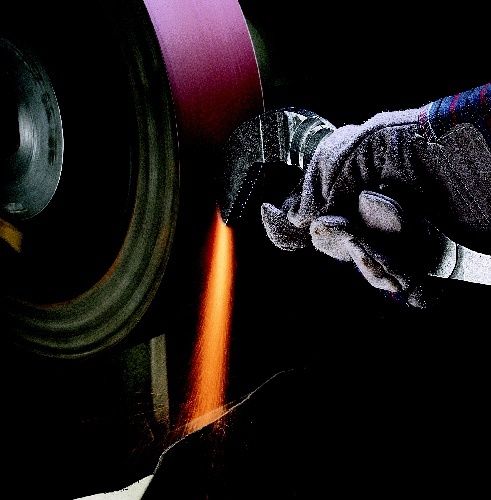 Made with long-lasting, self-sharpening Cubitron Abrasive Grain this belt ?outcuts? conventional aluminum oxide and alumina zirconia products by as much as 2:1 in some applications. Ideal for light and medium pressure applications, the tough YF-backing adds increased mineral adhesion and reduces edge shelling to help assure that your backing lasts as long as the mineral that?s on it. 3M provides the finishing touch for a vast number of products. The Abrasive Systems Division produces a complete line of coated abrasives, non-woven, surface conditioning abrasives and micro-replicated abrasives, plus hardware accessories. Abrasive products are available in sheets, rolls, belts, discs, wheels and brushes. They are used for almost any dimensioning, grinding, sanding, finishing or surface conditioning application. The coated abrasive product line consists of paper, cloth, combination, polyester film, metal and fiber backings -- with glue, resin and waterproof bonds. 3M(TM) Trizact(TM) Abrasives feature an engineered surface of microscopic three-dimensional structures resembling pyramids. This precise and consistent abrasive surface is ideal for stainless steel applications requiring a fine finish. They also work well on chromium, nickel and cobalt-based materials. The surface conditioning line features Scotch-Brite(TM) Abrasive Products. It includes a variety of non-woven synthetic fiber webs and molded wheel products with abrasive minerals dispersed throughout. Abrasive mineral choices include emery, garnet, aluminum oxide, silicon carbide, alumina-zirconia, diamond and 3M(TM) Cubitron(TM) Ceramic Aluminum Oxide Mineral.